If you have a rooftop antenna, it probably has steel, aluminum, and plastic. Your indoor antenna might have all three, too. Why are there so many different materials used in antenna manufacture, and which is the one you just can’t live without? You can see that aluminum, which sits right in the middle, is a good compromise. None of the elements that score higher would last very long on a roof. So why isn’t the whole antenna made of aluminum? Actually most of an outdoor antennas is made of aluminum in most cases. However there’s a great reason to use steel and plastic for some parts. Steel is cheaper than aluminum. When a part needs to be thick and sturdy, you’ll want steel. It adds more weight than aluminum but it’s also much less costly. Most parts of an antenna do nothing but direct the signal where it needs to be and those parts can be made of steel. As for plastic, it’s both light and inexpensive. Plastic is good for area where metal parts meet. It can form a joint that isn’t susceptible to shrinking or expanding like a metal joint can. Plastic is also non-conductive so it can be used for housings where you want to shield sensitive electronics. There isn’t really a lot of plastic in most antennas but it’s there to keep costs down while making sure the whole antenna doesn’t fall apart. Is there any difference with the way indoor antennas are made? I’m sad to tell you that there’s a big difference in indoor antennas. Some folks are just looking for the least-expensive option. This usually means an antenna made of steel and plastic. However, there are some premium antennas out there such as Winegard’s flat antennas which use high-grade plastics for the structure and silver for the actual antenna. The amount of silver is very small but it still contributes to the cost of the antenna. The basic idea of an indoor antenna is to be small and inexpensive. People use indoor antennas because they are so close to the towers that practically any antenna will get “some” reception. It’s just up to you to depend how much you want to spend to get the best possible reception indoors. I hear people all the time say that when it comes to antennas, “they don’t make them like they used to.” That’s true, but not the way they mean it. Today’s antennas are lighter and may seem flimsier than those ones from half a century ago, but the quality of the metal and plastic is so, so much better. It’s become possible today to create thinner aluminum antennas that are much better quality, can stand up to more punishment and are more sensitive. The plastics used today are much more resistant to UV and that’s a big concern for our readers down south. I can’t guarantee that any antenna you put up today is going to last you 50 years, but I can tell you that it’s completely possible. 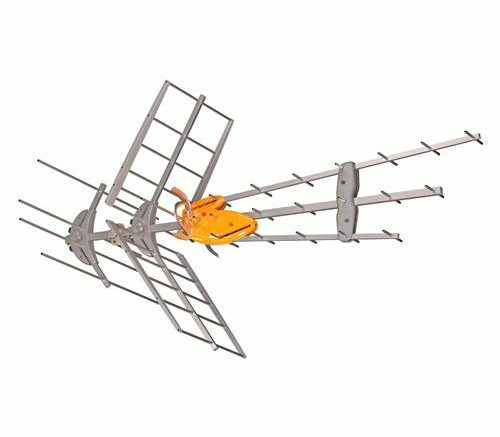 If you’re looking for the best possible selection of antennas, look no further than Solid Signal, where you’ll find antennas for every need and plenty of free tech support options to make sure you choose the right one. Is the FCC planning on killing TV broadcasting? What’s the most future-proof antenna?